Microsoft has rolled out a sizable update to the Microsoft Groove app, their music streaming and subscription service. The update brings a lot of changes to the app that frankly, catches it up to other services that are out there. This update is rolling out now so if you have the app installed, expect the OTA today or tomorrow. 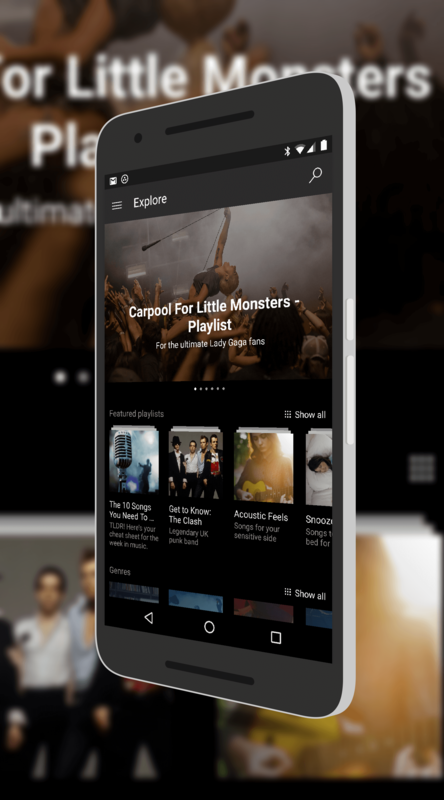 The biggest new edition is that you can explore relevant artists, albums and songs for a particular genre. This not only allows you to see your favorite artists but also expose you to some that you may not have heard of before. It is a great way to discover new artists in your favorite kind of music. stations that play Smooth Jazz. Finally, you can now see and hear playlists that have been created and shared by others. This is also a great way to explore new music but also a great way for you to share a playlist with your friends or family. Microsoft Groove has been continually in evolution as Microsoft tries to get into the music streaming game and while they have been behind, updates like this are catching them up. If you are looking for such a service, Groove is $9.99 per month and there is a free 30 day trial available. The app is also free in the Play Store.